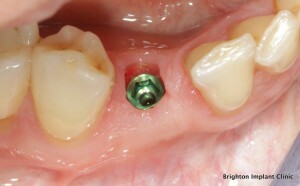 Dental Tooth Implants are used to replace missing tooth. Usually, they are made of titanium and are shaped similar to the roots of natural teeth. Dental implants are placed in the jaw bone by an implant surgeon. The implants are allowed to fuse to the jawbone during a 3-6 month healing period. This healing stage is known as osseo-integration. Dental implant surgery usually requires some high-tech equipment like Cone beam CT scan and radiographs. 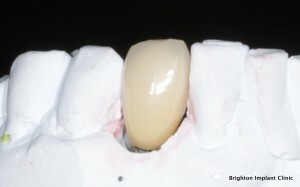 Dental Implants can be placed without CT scans however the margin of error can be much higher. If successful and properly maintained, dental implants can last for a whole lifetime. When replacing a missing tooth or teeth using implants, you need to consult a trusted dentistry clinic. Your dentist will determine if your oral hygiene and bone structure is ideal for dental implants. Your implant surgeon will determine if your gums are healthy enough to undergo the surgery. In order for your dental implants to function and perform well, you should consider first having your dental treatment carried out by a reputable and trusted dental implant clinic. Brighton Implant Clinic is one of the respected names in the UK when it comes to dental implant surgery. Dental implants work better than dentures, which is why many patients are choosing dental implants as an alternative to dentures. The cost of getting dental tooth implants may be a bit pricey compared to dentures but they last longer and require less maintenance. Moreover, dental implants feel and look real, in many cases patients are not able to tell the difference between biting on an implant crown or a natural tooth. Dental implants are very comfortable and feel like natural teeth. Dental implants are also highly aesthetic. 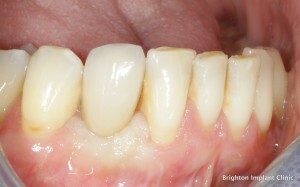 Once integrated with your jaw bone other people won’t notice the difference between natural teeth and dental implants. Unlike dentures, implants are permanently fixed to your jaw bone. This connection with your jaw bone is what makes dental implants feel like natural teeth. To ensure that dental implants work for a long time, you need to have regular post-treatment checkups to monitor the stability of the implants. You also need to care for your implants like you would care for your real teeth. Brush and floss them regularly to avoid accumulating plaque. Have oral hygiene visits regularly at least twice a year to remove hard to reach areas that are prone to problems. If you experience any problem with your dental implants, go to your dentist immediately. For more information about Dental Tooth Implants please feel free to Contact Brighton Implant Clinic or Call us on 0800 111 6623 .